Christmas is here in a few days! Are you ready to enjoy the time with your family and love ones? Well, we’ve got the next best thing for you! Join Simon and Susan… Oh wait, where is Sheldon? That is the question the crew is asking in episode 240 -Where is Sheldon? Oh well, Simon and Susan just talk about a few books from the past week. 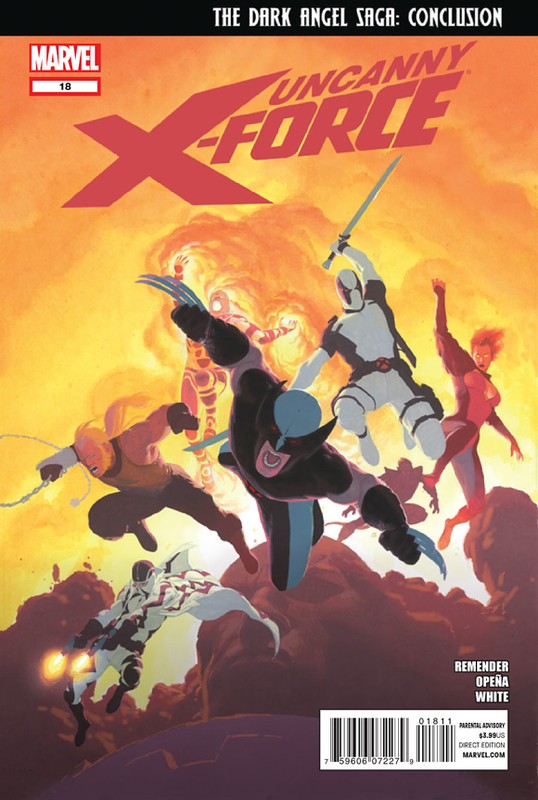 Simon is more then impressed with Uncanny X-Force #18 by Rick (I will break your heart) Remender, ,Jerome (I am a god) Opeña and Dean V. (Colors where not invented before I use them) White. Simon calls it the greatest comic ever published. Therefore, it is the pick of the week. He talks about a lot of emotions he felt when he was reading this issue. Susan talks about her obsession with Scott Snyder and how you should not be missing out on SEVERED from Image comics. They talk about what makes a great Bat comic. All this, and we don’t even find out what Sheldon likes. So sync your mp3 player and listen to the new ComicImpact pick of the week podcast. Make sure to leave some cookies for Santa Claus, since he will be coming later this week as well as the Time Lord for Gallifrey.